When it comes to upscale socialization and drinks before 5:00, brunch reigns supreme. With Easter Sunday nearly upon us, what better time to highlight that WASP’iest of all meals: Brunch. Aside from being one of America’s best loved portmanteaux, the mere mention of bunch is sure to conger up images of the classic WASP lifestyle. Upscale social interaction, fancy restaurants, preppy attire, and of course, the hands-down best excuse to drink during the middle of the day. Like most WASP’y, it should come as no surprise that the institution of bunch traces its origins back to Great Britain. According to the Oxford English Dictionary, the term was first used by a man named Guy Baringer in an 1895 article he wrote for Hunter’s Weekly titled Brunch: A Plea. The traditional English Sunday dinner doesn't exactly qualify as "light" fare. Prior to Mr. Beringer’s plea, the typical English Sunday consisted of an early breakfast and morning church service followed by a formal Sunday dinner. Now, it’s important to note that in those days, dinner didn’t mean the same thing that it does today today. Rather than being the third and largest meal of the day served in the evening, dinner was more akin to a substantial late lunch, served around mid-afternoon. It was largest meal of the day and typically followed by a smaller evening meal called supper. 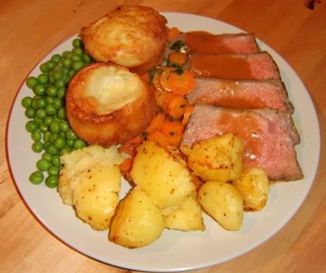 The English Sunday dinner in particular was often an especially heavy meal consisting of substantial meat dishes and other savory offerings. Instead of England’s early Sunday dinner, a postchurch ordeal of heavy meats and savory pies, why not a new meal, served around noon, that starts with tea or coffee, marmalade and other breakfast fixtures before moving along to the heavier fare? By eliminating the need to get up early on Sunday, brunch would make life brighter for Saturday-night carousers. It would promote human happiness in other ways as well. Brunch is cheerful, sociable and inciting. It is talk-compelling. It puts you in a good temper, it makes you satisfied with yourself and your fellow beings, it sweeps away the worries and cobwebs of the week. Remarkably, this more than a century old proposal almost exactly describes brunch as it exists today. Essentially a lighter mid-day meal that serves both as an informal social occasion and a reprieve from having to get up too early after a little weekend excess. Over the course of the 20th Century brunch steadily caught on United States. It also developed its close association with WASP culture as the meal became a favorite post-church social activity among the upper class establishment. The golden age of brunch probably occurred around mid-century when each Sunday millions of Episcopalians across the country would head out from church on a weekly trek to the nearest restaurant to eat, drink, and socialize with friends. While church attendance gradually declined in the decades following World War II, the institution of Sunday brunch stuck around. Partly out of respect for social tradition, partly out of the appeal of not having to get up too early, and partly out of the aforementioned excuse to drink before five o’clock, brunch thankfully still remains relevant today. As mentioned earlier, there’s really not too much involved when it comes to brunch, but there are couple pointers for first timers looking to do it right. Remember that brunch is by nature informal and fun, so please consider the following general guidelines rather than absolute rules. What Day? – Brunch was traditionally served on Sunday and that remains the case today. Technically you could have brunch any day of the week, but you’ll find most restaurants offering a specialized brunch menu will only offer it on Sunday. Today most Americans only go to brunch as couple times a year, usually for special occasions like Mothers Day, Valentines Day, or Easter. However, there’s really no need to limit yourself. I would encourage you to have brunch as often as you like, every week if possible! What Time? 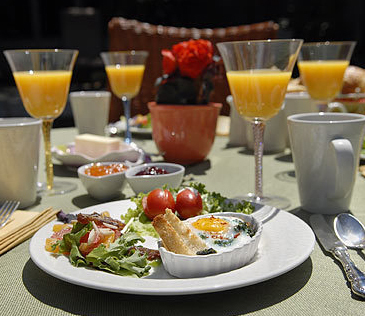 – Every restaurant is different, but usually you’ll find brunch being offered from 10:30 AM to 2:00 PM. Sometimes it may begin a little sooner, or end a little later. In general if you plan on showing up sometime during the late morning you should be OK.
Where to Go? – To do brunch right, you’ll want to find a nicer, fairly upscale, restaurant. Preferably one that offers a dedicated brunch menu, or at the very least offers both breakfast and lunch options. This doesn’t necessarily mean the most expensive place in town, just someplace nice. Could you simply catch a late breakfast at Denny’s? Sure, just keep in mind you’ll be straying a bit from the WASP ideal. The good news is that since brunch is not a formal meal, most restaurants that might normally be out of your price range for dinner typically offer much more reasonable prices for daytime fare. Some places will even have special deals just for brunch. A little research can really pay off. 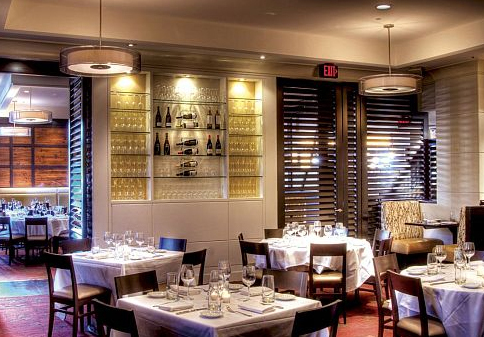 The general sort of upscale/casual atmosphere you're looking for when scouting a brunch locale. What to Wear? – Back in the old days it was easy, you simply dressed in whatever you wore to church. Today however, the key is balance. On the one hand brunch is supposed to be a somewhat casual occasion. On the other it’s still a traditional social event taking place in a nice setting. If you do decide to dress up, you won’t look out of place, but in general you can get away with a sort of preppy/casual style. If you’re having trouble deciding between outfits, always err on the side of a little too formal. 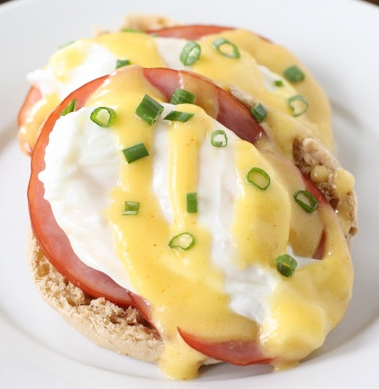 You'll never go wrong with Eggs Benedict! What to Eat? – One of the great things about brunch is the shear selection of choices available. Because you’re in between breakfast and lunch, it’s appropriate to order either. Eggs, Bacon, Waffles, Pancakes, Salads, Sandwiches… sky’s the limit. Brunch is the one meal where everyone at the table can get just about anything they like, all served at the same time. Personally I favor the breakfast side of the menu. In fact my go-to selection is Eggs Benedict, which I consider to be brunch royalty. You get a little bit of everything on a single plate. The eggs, sausage, and English muffin suggest a casual breakfast while the hollandaise sauce brings a touch of rich decadence to the party. If you can’t decide on what to get, you’ll never go wrong with Eggs Benedict. What to Drink? – Brunch offers one of the few socially acceptable excuses to drink in the middle of the day, so you should definitely take advantage! The only catch is that you’ll want to stick to a few pre-approved choices to avoid standing out. Translation: Save the beer and martinis for happy hour. Bloody Mary: A savory tomato juice and vodka based cocktail with spicy kick. It’s a heavy duty drink that can go with just about anything and is a true WASP classic. Find out more here! Mimosa: A sweeter cocktail of orange juice and Champagne, mixed in a ratio of 1/3 juice to 2/3 wine. Technically if it’s not Champagne (with a capital C), it’s not a Mimosa, but these days any sparkling wine has become an acceptable, and far more common, alternative. Mimosas are best enjoyed with egg and mushroom based dishes. 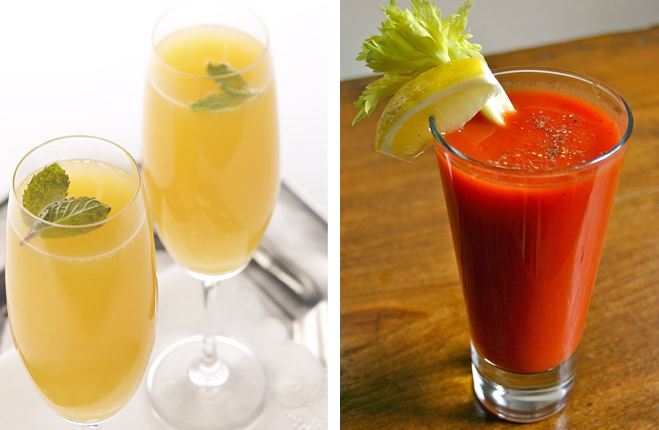 Your brunch cocktail options: Mimosas (left) or a Bloody Mary (right). You really can't go wrong with either. That’s really all there is to it. Stick to the guidelines above and you’ll be out brunching like a pro in no time! Again, this one’s easy, just grab a few friends this (or any) Sunday and have brunch! Even better, set up a standing weekly brunch and turn it into a new tradition. While Easter brunch is a great tradition, and one I encourage you to try, there’s something to be said for the “off” weekends as well. By off weekend I mean any Sunday that’s not Mothers Day, Valentines Day, or Easter. The crowds will be much thinner and the atmosphere more casual and conducive to socialization. Put together a brunch appropriate wardrobe. While looking sharp for brunch is an obvious benefit, having a go-to preppy-casual outfit can serve you well in a host of other situations. In fact I’d call the preppy/casual look one of the most versatile dress options today. Not sure where to start? You can’t go wrong at Brooks Brothers. Bon Appetite and Happy Easter!